What is Placenta Praevia and how could it affect your pregnancy & birth? You may well have heard of the term placenta praevia when browsing the internet or over hearing midwives and doctors in hospitals but what does it actually refer to? 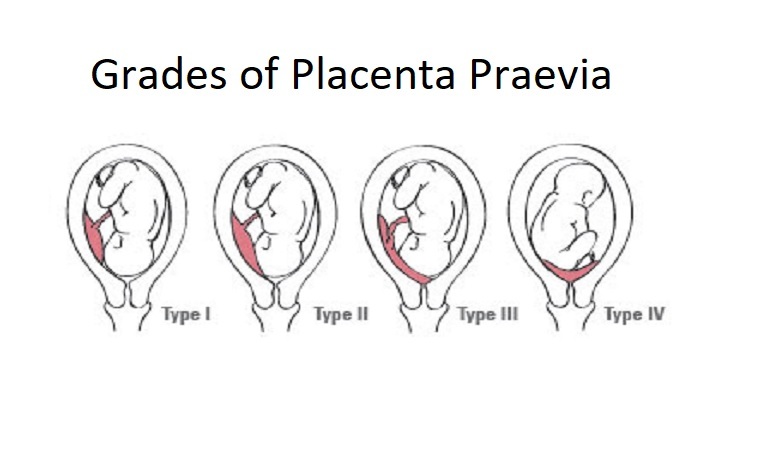 In simple terms, placenta praevia happens when the placenta is laying across the lower segment of the womb, either next to the cervix or covering it. The placenta is the large fleshy organ that attaches itself to the lining of the womb during early embryo development. It forms an umbilical cord which is attached to the baby to give nourishment and oxygen. It also acts as a filter to remove any waste and deoxygenated blood from the baby back into the mothers circulation for elimination. In most cases, the placenta attaches to the upper segment of the womb and you may have noticed after your early ultrasound that the sonographer has written something like ‘Placenta posterior not low’ or ‘placenta anterior not low’ Both of these scenarios are totally normal and are just describing the position of the placenta to be either at the top back or top front of the womb. The lower edge of the placenta reaches the internal part of the cervix but does not cover it. If you are diagnosed with placenta praevia, it is likely you will be offered a caesarean section but this will depend on the grade. All cases are unique and individual. There is a higher risk of haemorrhage and placental separation associated with placenta praevia. Some women who are told they have a low lying placenta during their 22 week anomoly ultrasound will usually be offered another scan later on. Sometimes the second scan shows that the placenta has moved up away from the cervix and is no longer a concern. Low lying placentas can be a cause of persistent bleeding during pregnancy. Because the placenta is so close to the neck of the womb, it is easy to become irritated and bleed a little. Women who are diagnosed with placenta praevia will be monitored closely, especially towards the end of their pregnancies. In general, placenta praevia is managed well within the UK as women have access to ultrasound scanning and medical care from obstetricians and midwives.